Since Le Cellier Steakhouse in Epcot’s Canada Pavilion is one of my favorite places to dine, I take any change to the menu pretty seriously. We recently reported the news that the steakhouse would be changing their lunch meal to a signature (i.e. expensive!) meal, meaning they’d be featuring the same menu for lunch that they have for dinner. But many of you who don’t use the DDP also expressed exasperation, as the prices were steep for lunch. Still others were upset that beloved items like the Le Cellier Burger didn’t make the cut. 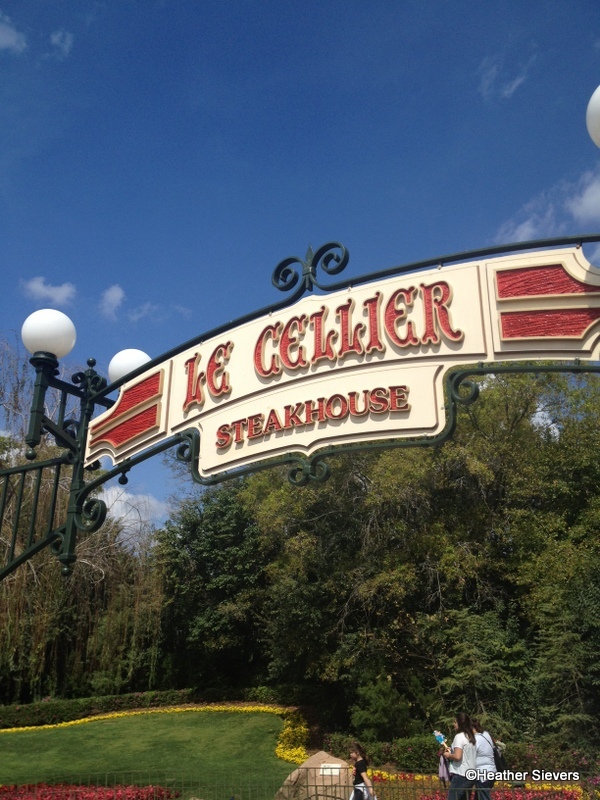 With all of this in mind, we decided to stop by Le Cellier for lunch and take a look at some of the new menu items. I was also interested to see how we felt about eating our large, most expensive meal midday, rather than in the evening. Le Cellier Steakhouse is located in the “cellar” of the chateau that you’ll find in the Canada Pavilion of Epcot’s World Showcase. Modeled after famed chateau-style hotels, the restaurant is themed to give you the impression that you’re dining in the wine cellar. When you arrive, you’ll check in at the podium on the main thoroughfare, then proceed down the path and into the small lobby. 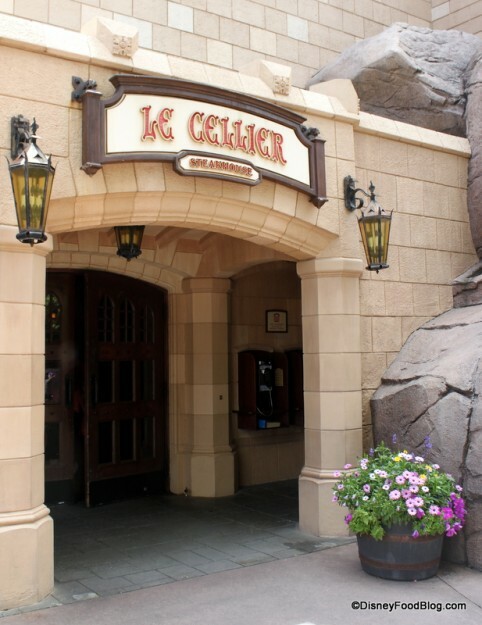 Le Cellier has historically been a very tough ticket to get when it comes to Disney dining reservations. I’m interested to see if it will be easier to dine here now that both meals are on the expensive side. 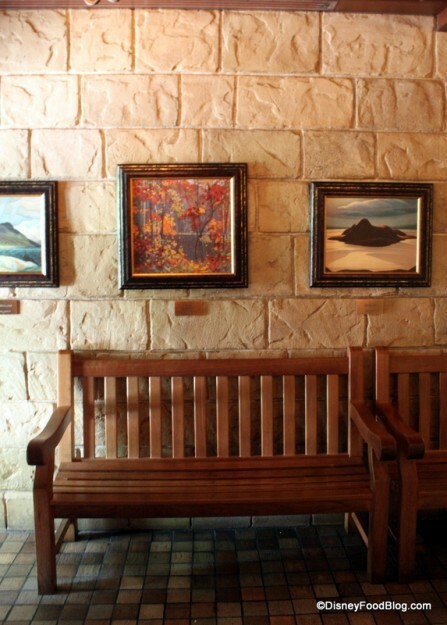 When we entered the lobby, we noticed that there have been some new landscape portraits added to the walls. 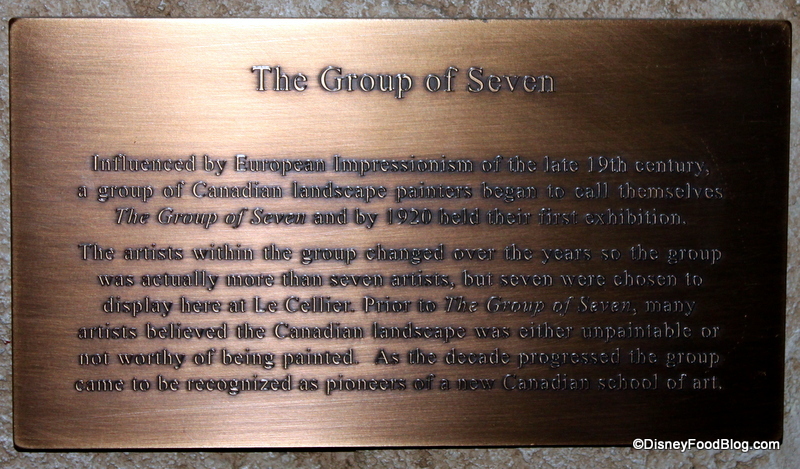 This plaque details the history of The Group of Seven and its importance in bringing Canadian landscape art into its own. Before the group of artists — also sometimes known as the Algonquin school — began capturing the Canadian countryside on canvas, many thought the country not worthy of artists’ attention. The paintings are a welcome addition to the lobby, and really serve to further this spot as a real taste of Canada’s beauty.